The Founders held philanthropy to be effective only when done by an individual citizen or private organizations. Indeed, the Founders believed that charitable giving sprang from virtue within each individual, or in other words, moral excellence within each person. The Bible says, “It is better to give than to receive,” and this tenet was the bedrock of society to the Founders. They saw no role for government in the area of philanthropy. Indeed, Thomas Jefferson said, “Congress has not unlimited powers to provide for the general welfare, but only those specifically enumerated" (Thomas Jefferson to Albert Gallatin, June 16, 1817). James Madison agreed with Thomas Jefferson: "With respect to the two words 'general welfare,' I have always regarded them as qualified by the detail of powers connected with them. To take them in a literal and unlimited sense would be a metamorphosis of the Constitution into a character which there is a host of proofs was not contemplated by its creators" (James Madison to James Robertson, Jr., April 20, 1831). Often people have the best of intentions when they think that government should take care of the welfare of others, but such action actually weakens the national character. President Grover Cleveland explained this idea well: “The friendliness and charity of our countrymen can always be relied upon to relieve their fellow citizens in misfortune. This has been repeatedly and quite lately demonstrated. Federal aid in such cases encourages the expectation of paternal care on the part of the Government and weakens the sturdiness of our national character, while it prevents the indulgence among our people of that kindly sentiment and conduct which strengthens the bonds of a common brotherhood” (Grover Cleveland, “Veto of the Texas Seed Bill,” February 16, 1887). President Cleveland acted upon the sentiments expressed above when he vetoed a bill in 1887 for $10,000 in federal aid to drought-stricken farmers in Texas. President Cleveland acted upon the sentiments expressed above when he vetoed a bill in 1887 for $10,000 in federal aid to drought-stricken farmers in Texas. 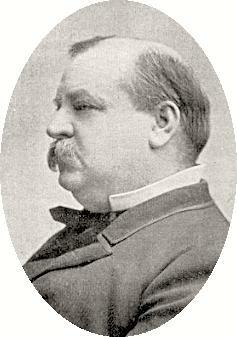 To explain his veto, Cleveland said, "I find no warrant for such an appropriation in the Constitution, and I do not believe that the power and the duty of the General Government ought to be extended to the relief of individual suffering which is in no manner properly related to the public service or benefit." Cleveland’s veto did not mean he opposed helping the farmers who were suffering in Texas. Cleveland encouraged people and private charities to help out the farmers—and more money was sent to the farmers from philanthropists around the nation than would have been allocated by the federal government. Critics of private philanthropy also point to the problems of choosing the recipients for the donations. If private individuals make those decisions, wouldn’t they be prejudiced against certain groups? What if some people are left out and suffer want? Wouldn’t it be better to let politicians in the federal or state government decide who gets aid and how much? Unfortunately, the government has proven to be a poor administrator of public aid. Often those districts with the most political “pull” have received the most money. Also, politicians are tempted to use federal aid to benefit certain groups, and then the politicians expect those groups to vote to keep them in office. For example, in 1932 in the first federal welfare program in U.S. history, the swing state of Illinois, with much political pull, received almost one-fifth of all federal aid; six other states received nothing. Such federal aid is dangerous to any republic. Currently, American citizens receive a tax deduction for most charitable donations, but even this benefit to philanthropists is coming under fire. Currently, American citizens receive a tax deduction for most charitable donations, but even this benefit to philanthropists is coming under fire. Many politicians want to limit deductions, saying that such “loopholes” only encourage too much influence by the wealthy. Some say that “income inequality” is too strong in American society. But such arguments ignore the problems of the socialist governments that have attempted to “level” all incomes; the results have included stagnation of the economy, little innovation, and an increase in poverty. When individuals succeed and prosper, inequality of income is not the problem. Such success is a benefit that means more people can be employed, more money is moving within a community to stimulate business, and extra money can be used for research and development of all sorts of new products to benefit others. John D. Rockefeller was the wealthiest man of his day, and by his death he had given away more than $500,000,000. He endowed the University of Chicago; he funded research to end certain diseases; he fought the boll weevil, which was plaguing agriculture; and he cleaned up the environment around the oil fields by using more of what came out of the ground. In Atlanta, he funded Spelman College a historically black college named for his wife Laura Spelman Rockefeller. From Cornell to Carnegie-Mellon to Vanderbilt University, many institutions owe their founding to the philanthropy of wealthy men. 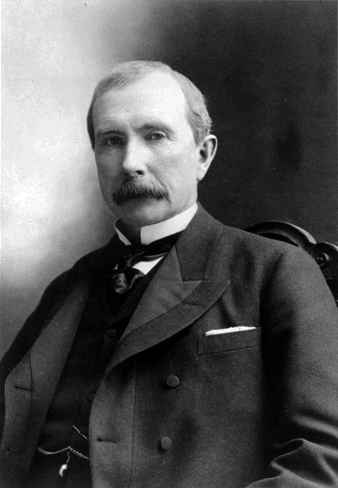 John D. Rockefeller was the wealthiest man of his day, and by his death he had given away more than $500,000,000. He endowed the University of Chicago; he funded research to end certain diseases; he fought the boll weevil, which was plaguing agriculture; and he cleaned up the environment around the oil fields by using more of what came out of the ground. If so much has been accomplished using private funds, when did the federal government become dominant in administering welfare programs in the United States? During the Great Depression, specifically beginning in March, 1933 when President Franklin Roosevelt took office. He immediately began to change American society. Roosevelt believed in the benefits of big government and the importance of trained experts setting up systems in society for Americans to follow. He pointed out that free enterprise had seemingly failed in 1929, causing high unemployment and masses of needy Americans. However, Roosevelt taxed and regulated Americans heavily to pay for his new government programs, which discouraged new businesses and investment. President Roosevelt was also using government welfare programs to buy votes. He discovered that when voters receive money or free services from the government, they tend to vote for politicians who promise to continue those programs. Suddenly under Roosevelt’s administration, more money was being spent by the government’s welfare programs than by private philanthropists, for the first time in American history. The U.S. national debt skyrocketed. Governor Joseph Ely of Massachusetts summed up the situation: “Whatever the justification for relief [welfare], the fact remains that the way in which it has been used makes it the greatest political asset on the practical side of party politics ever held by any administration” (Joseph Ely, The American Dream, 1944). The Founders feared big government and put a system of checks and balances into the U.S. Constitution to protect the individual rights of all citizens. In contrast to Franklin Roosevelt, George Washington believed is the duty of each citizen to give back to the society that has nurtured them, and this is best done by individuals reaching out to other individuals, not by the government providing welfare and buying votes. The Founders practiced philanthropy by example in their own lives, and modern Americans should continue to emulate them.